The medical field offers a wide array of career options in the United States. In fact, there are nearly 150 medical schools in the U.S. that award an MD designation to graduates. In addition, there are approximately 30 accredited medical schools that award a DO to those that successfully complete a set of rigorous coursework. A doctor can be a graduate of a college of medicine, osteopathy, chiropractic, optometry, podiatry, dentistry, or veterinarian medicine. What is the difference between an MD and DO designation? An MD designation stands for Medical Doctor (or commonly Doctor of Medicine) that practices allopathic medicine. An MD practices a more classical form of medicine that focuses on the diagnosis and treatment of human diseases. On the other hand, a DO designation stands for a Doctor of Osteopathic Medicine which takes a holistic view of a patient in an effort to treat the whole person instead of curing symptoms alone. How many doctors are practicing in the US today? There are approximately three-quarters of a million practicing physicians in the United States. Of that total, those holding an MD is just over 90% leaving approximately 50,000 professionals with a DO designation. What are the requirements to apply to med school? 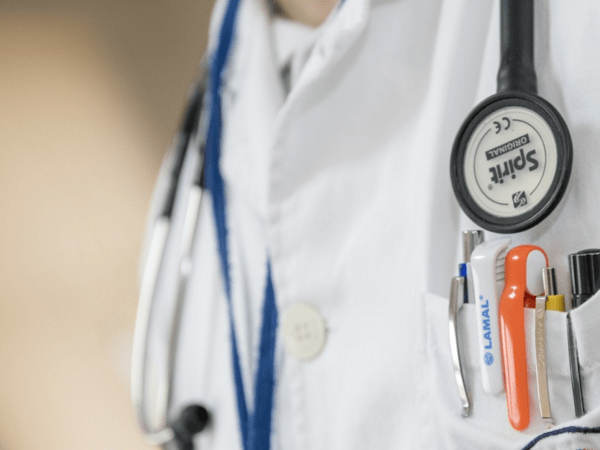 Each university has its own criteria for admissions, however we have put together some general requirements to help you navigate this discovery process about medical school. Prior to applying to a medical school for an MD or DO program, you must have already obtained a 4-year college degree. The 4-year degree must include a number of prerequisite programs including biology, physics, general chemistry, organic chemistry, and English. What are the admission requirements for a prospective MD student? For students applying to a med school with the MD designation, you must use an AMCAS application. The AMCAS stands for the American Medical College Application Service that facilitates the application process. The application includes your personal information, transcripts, work experience, extracurricular activities, memberships, awards, letters of evaluation, medical schools you wish to apply to, written essays, and standardized test scores such as MCAT, GMAT, LSAT, MAT, and/or GRE. Many medical schools that offer an MD program also offer dual degree programs. Examples of a dual degree is an MD/PhD or MD/MPH program and each dual degree program serves a specific purpose. For example, a student earning a MD/PhD often go on to join the faculty at universities, medical schools, and research institutes. An MD/PhD typically spends a significant amount of time performing research in addition to caring for patients on a daily basis. MD graduates then enter the NRMP (National Residency Match Program) and enter a residency program within a particular specialty of medicine. Lastly, an MD graduate must take the United States Medical Licensing Examination (USMLE) which is a required three-part exam for medical licensure. What are the admission requirements for a prospective DO student? For prospective DO applicants, you will need to have a 4-year degree with specific prerequisites classes including general chemistry, biology, physics, organic chemistry, and English. Applicants must use the AACOMAS which is the American Association of Colleges of Osteopathic Medicine Application Service to apply to an accredited DO college. Much like the AMCAS, the AACOMAS includes basic information about the applicant, along with standardized test scores (MCAT), letters of recommendation, and a personal statement for wanting to become a DO. Generally speaking, an Osteopathic medical school will often partner with medical offices and medical facilities within a specific region. After the successful completion of the DO coursework, students join one of the 500 osteopathic residency programs. At the end of their residency term, students are required to pass the NBOME’s COMLEX-USA examination to earn their DO medical licensure. According to the Bureau of Labor Statistics (BLS), the need for doctors continue to grow at a strong clip. The BLS provides statistics around this macroeconomic trend indicating as a group doctors and physicians will experience a 14% increase in job growth through 2024 which is twice the average composite for all professions in the United States. The primary driver for this increase for highly trained, well qualified medical professionals can be explained via a growing and aging population. The BLS opines a growing need for well qualified physicians in rural areas and low-income areas with an ever-growing need for quality care juxtaposed with the supply of doctors. In addition, certain disciplines of the medical field are likely to surge faster than others based on an aging population of baby boomers. More specifically, physicians that specialize in radiology or cardiology will likely be in greater demand as time passes with the risks for cancer and heart disease swelling with the aging population. Additional trends can be teased from the BLS employment projections below given the trove of information. Career choices for doctors and physicians can include a surgeon, pediatrician, obstetrician, anesthesiologist, family practitioner, nurse, RN, LPN, nurse midwife, chiropractor, dentist, optometrist, physician assistant, veterinarian and podiatrist to name a few. As you can see, there are dozens upon dozens of vocational options available to professionals that hold an MD or DO designation. It would be important to break down the options into three primary categories to help you organize the options in a more efficient manner. The broad-based categories for medical professionals are: surgical, medical, and diagnostic. In its most basic form, surgical specialties focus on instrumental and manually operative techniques to help treat diseases. The American College of Surgeons formally recognize 14 surgical specialties: colon and rectal surgery, general surgery, cardiothoracic surgery, otorhinolaryngology, gynecologic oncology, pediatric surgery, neurological surgery, ophthalmic surgery, oral and maxillofacial surgery, gynecology and obstetrics, orthopedic surgery, plastic and urology, vascular surgery and maxillofacial surgery. The types of surgery can be time-bound (elective, semi-elective, emergency), procedure-based (replantation, transplant, reconstructive, or amputation), purpose-driven (exploratory, therapeutic, cosmetic), invasiveness (open surgical to minimally invasive), and by equipment used (laser, robotic, scalpel, microsurgery). Medical specialists spend time working with the diagnosis, prevention, and treatment of diseases. In this line of work, patients are often hospital-bound making the majority of a doctor’s time is also spent in a hospital. There are 16 primary subspecialties of internal medicine that include: sports medicine, pediatrics, pulmonology, rheumatology, oncology, hematology, hepatology, infectious disease, nephrology, neurology, geriatrics, vascular medicine, cardiology, critical care, endocrinology, and gastroenterology. nuclear medicine (the study of organs with radiolabeled substances and imaged by a PET or gamma scanner), and diagnostic radiology (x-rays, ultrasonography, nuclear magnetic resonance tomography, and x-ray computed tomography). As mentioned previously, there are a couple phases to medical school and will break down the piece-parts in this section. As you may know, medical school takes just four years to complete; however, to become a physician you will spend another three to seven years in residency. Your first two years of medical school will be a mix of classroom time and laboratory time. Med school students will take some classes in basic sciences with common classroom-based and lab-based courses including pathology, biochemistry, microbiology, anatomy, and pharmacology. In addition to hard science, med school students will also build their soft skills through an array of psychology, sociology, and human behavior classes to become more proficient with the basics of examining and interviewing a patient. Traditionally, med school students will take 4-5 courses in various areas concurrently before toggling to another set of classes. There are other medical schools that opt to focus on one theme for a month stint before moving on to another topic. Then again we are familiar with med schools that take an interdisciplinary manner of thinking with pre-clinical coursework, in which each course focuses on an individual organ. The class will then camp on a specific organ in the body by analyzing all the related physiology, pharmacology, pathology and conduct systems related or adjacent to that organ. By the end of the second year of med school, students will need to take USMLE Step 1. Medical students who are in their third and fourth year will engage in performing rotations at a clinic and/or hospital affiliated with their school. These rotations are designed to help marry the academic elements of classroom-based learning with pragmatic hands-on experience in a real world setting. During these years, med school students will need to take and pass the USMLE Step 2. Students engaged in medical rotations will assist residents in some specialty that may include elements of psychiatry, pediatrics, internal medicine, and/or surgery. Additionally, med students on rotations will communicate with patients and perform basic medical procedures along with a variety of tasks the resident is able to comfortably delegate. Are all Medical School Rotations the Same? As mentioned earlier, there are variations by college in curricula, coursework, rotations, and residency. For example, internal medicine is required by all med school programs while others have various clerkship guidelines. In addition, some med schools have specific requirements that dictate the length of time a student needs to spend in a rotation. This requirement around a rotations duration is often predicated by the focus or emphasis. Likewise, some med schools require a lengthy surgery rotation lasting several months while others are 3 weeks long. An additional consideration is the setting of the med school. Meaning, if the school is in a metro area, a student can readily expect to see a greater number of patients with various infectious diseases, trauma, and emergency medicine coupled with a broad demographic of patients. While rotations are vital to help a student become more proficient and knowledgeable, they are not designed to provide substantive expertise in a particular discipline. The following years as a residency student will provide more granular experiences to allow med school students to specialize in particular areas of study. While it is likely you can train to be a primary care physician at any medical school, it is worth noting that a programs that emphasize primary care will include longer clinical rotations, specific coursework designed to help best work with patients, and a substantial amount of patient contact. Programs that emphasize primary care often build an outreach program in the community to help reach those with an elevated need for care and treatment. On the other hand, if a student is more interested in a career in academic medicine or biomedical research it will be best to research medical schools with strong research curricula. Understanding a med school’s focus will afford you the best resources, facilities, and mentors to align with your long-term goals. What is a Combined Medical Degree? A combined medical degree program is simply another tool for students to bolster their resume and knowledge base. Think of it as a means to add a specialty to a medical degree with advanced coursework to maximize your employment opportunities after graduation. A few examples of a combined medical degree include a MD/MS, MD/MPH, MD/MBA, MD/PhD, and MD/JD. A MD/MS dual degree has an emphasis in science for those looking to advance their skill set in the field of research. It is common for MD/MS students to stagger their medical school coursework by completing two years of traditional classes, sandwiched by a year of a specific work relating to a master’s degree followed by a final two years of medical school work. A MD/MS degree will take between five and six years to complete depending on the program structure and particular areas of study. MD/MPH is a medical degree coupled with a mater’s degree in public health. A public health degree can range from preventative medicine to disease control to biostatistics. The coupling of a medical degree with an eye towards public health will often lead graduates into advocacy, consulting, policy, and research fields of emphasis. An MD/MBA combined degree packs the medical degree with a master’s in business administration that often lends itself to graduates helping to operate hospitals or clinics. It is important to understand with this option a student must take required courses for business and medical school prior to matriculation towards the MD/MBA. Students also need to take the GMAT and MCAT with some schools requiring outside work experience prior to admissions. As for the MD/PhD, students often point towards a career in academic investigative medicine marrying clinical skills with expertise in a specific research-based field. Students that successfully navigate the MD/PhD dual degree program will do so in seven to eight years’ time. After graduation, a MD/PhD professional may elect to work as a professor at a teaching hospital or at a research organization. A MD/JD combined degree is for those interested in coupling medicine and law. More specifically, a person holding a MD/JD degree will likely work: in government shaping policy, practicing forensic medicine, a hospital as an executive, or as an attorney focused on medicine. Among the most notable benefits of a high-level career in the healthcare field is job security, income satisfaction, gratification from helping others, and limitless learning opportunities. In terms of scheduling, medical personnel may have the option to work varied schedules from four 10 hour days to 3 twenty-four hour shifts per week. After a period of time learning the ropes, some medical professions may even find a job that permits them to have weekends off. As part of the admissions process, make sure to ask questions around your future lifestyle upon graduation to hold a realistic image of the future in your head while at school. To find a list of the med schools near you or in a specific state, you can utilize our college search tool or jump into options by state. Below you will find a list of states that have medical schools you may choose to consider. Simply locate schools that are of interest and quickly obtain admissions criteria from our world-class college portal. The opportunities within healthcare are endless and the experience of academic and hands-on learning is invaluable. People who desire to positively impact people's lives will fare very well in the medical field. For additional resources, make sure to visit MatchCollege and subscribe to our blog for the latest in college information.